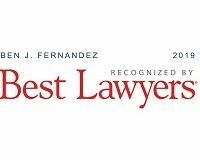 MIAMI (June 18, 2018) – Bercow Radell Fernandez & Larkin, specializing in zoning, land use and environmental law, announced today that Shareholder Melissa Tapanes Llahues has been selected for inclusion in Super Lawyers-Rising Stars Edition 2018. Melissa has been selected a “Rising Star” every year since 2011. The Rising Stars edition is particularly selective, with 2.5 percent of the state’s under-40 lawyers represented. 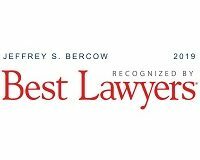 Once a year, Super Lawyers invites lawyers in each state to nominate the top attorneys they’ve personally observed in action. Lawyers may nominate attorneys in their own firm, but these nominations count only if each in-firm nomination is matched by at least one out-firm nomination. Super Lawyers’ procedures and database have several safeguards that prevent lawyers from “gaming” the system. For example, they track who nominates whom. This helps detect any excessive “back-scratch” nominations (lawyers nominating each other) and “block nominations” (where members of the same law firm all cast identical nominations). They also prohibit lawyers from engaging in “campaigning” or solicitation of nominations from other lawyers. The publication’s research department then evaluates each lawyer in the candidate pool based on 12 indicators of peer recognition and professional achievement: verdicts/settlements; transactions; representative clients; experience; honors/awards; special licenses/certifications; position within the law firm; bar and/or professional activity; pro bono and community service; scholarly lectures/writings; education/employment background; and other outstanding achievements. These indicators are not treated equally; some have a higher maximum point value than others. The third step of the selection process is peer evaluation by practice area, also known as the “blue ribbon review.” The candidates in each practice area with the highest point totals from steps one and two are asked to serve on a blue ribbon panel. The panelists are then provided a list of candidates from their practice areas to review, rating them on a scale of one to five. In the final step, candidates are grouped into four firm-size categories. Those with the highest point totals from each category are selected. 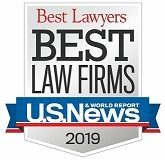 This means solo and small firm lawyers are compared with other solo and small firm lawyers, and large firm lawyers are compared with other large firm lawyers. Five percent of the total lawyers in the state are selected for inclusion in Super Lawyers. Bercow Radell Fernandez and Larkin’s clients include: Adler Development Group; Chetrit Group; Cornerstone Group; Crescent Heights; Integra Investments; Lennar Homes; Leon Medical Centers; Marriott International; Terra Group; 13th Floor Investments; and Turnberry Associates. 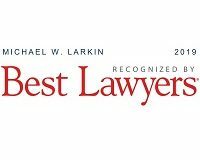 Bercow Radell Fernandez & Larkin, located at 200 S. Biscayne Boulevard, Suite 850, Miami, was established in 1996. 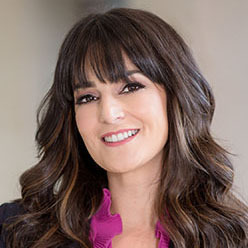 The firm handles all aspects of local, state and federal real estate permitting and licensing, including zoning approvals, amendments of local government comprehensive plans, developments of regional impacts (DRIs), due diligence reviews, growth management, concurrency and environmental matters.